Lock your keys in a metal box, friends. Here’s another reason why keyless fobs are terrible. 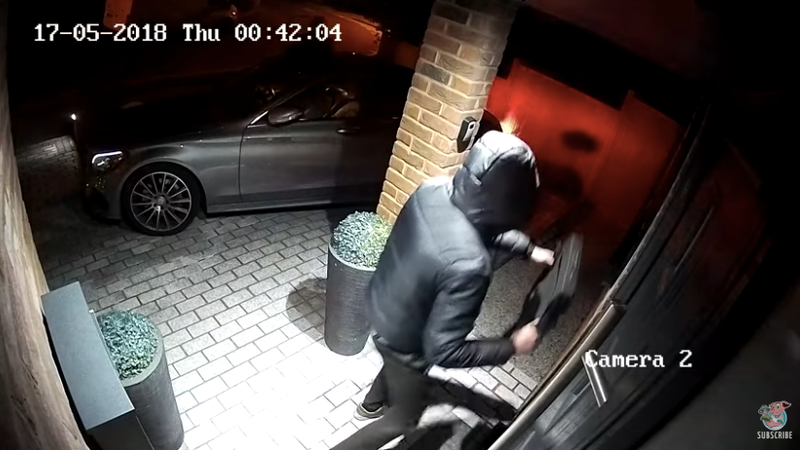 Thieves in the United Kingdom managed to steal someone’s Mercedes-Benz in about 20 seconds by remotely boosting the car’s key signal to unlock the vehicle, according to Carscoops. The way it’s accomplished is similar to a feat Chinese hackers pulled off last year with only $20 of stuff. It’s fairly simple: the key fob is constantly sending out radio signals, which can be picked up by a radio device nearby and transmitted to the car. That’s indeed what happened here, reports Carscoops. It’s that signal that’s eventually cloned via a signal amplifier, and subsequently sent to a transmitter positioned close to your car. Once that’s finished, the transmitter basically becomes the key and tricks your car into thinking the real key has been used. This video is an unfortunate, yet perfect example of how easily and quietly a modern car can be stolen. The incident took place in the UK and it involves what looks like a new Mercedes-Benz C-Classsaloon. It took roughly 10-seconds for the thieves to boost the key’s signal into their transmitter, and then another 10 seconds to switch places and take off with the car. Had my car stolen last night. Anyone got keyless go (Merc) make sure you double click the lock button or put keys in a metal box, Apparently this deactivates the key. Some sound advice. Or as my sage colleague Jason Torchinsky suggested before, try your fridge or a microwave. Simple as that.